Want to be in the know? Be sure to get on our newsletter email list by clicking the button below. Your information will never be shared with anyone or any entity without your express permission. Can we count on your support this year? Your contributions have enabled Chamber Music Sedona to fulfill our core mission of presenting world-class music to Sedona audiences. In addition, you have helped support another vital aspect of our mission: bringing these fine artists to local schools and providing free concerts for our community. We would like to ask you to again consider a donation to Chamber Music Sedona. Your continued support—along with grants from the City of Sedona, the Arizona Community Foundation of Sedona and the Arizona Commission on the Arts—make it possible to fulfill the promises we make in our mission, as we have been proudly doing for the past 35 years. 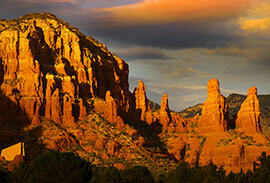 All donors to Chamber Music Sedona will receive donor benefits in our 36th season. Benefits are awarded based on giving level for donations made between September 2017 and August 2018. Will you help us continue the legacy of the Chamber Music Sedona program? Donate today! Your donation will be used directly to support our programs. Chamber Music Sedona’s 36th Season was made possible with support from the City of Sedona, The Arizona Community Foundation of Sedona, The Arizona Commission on the Arts, Dan & Victoria Bresnan, and patrons like you—Thank you! This project is supported in part by an award from the Arizona Commission on the Arts, an agency of the State of Arizona. You will receive the latest news about our concerts and special events. Your information will never be shared without your express permission.